Fly the friendly skies with your data in your pocket! 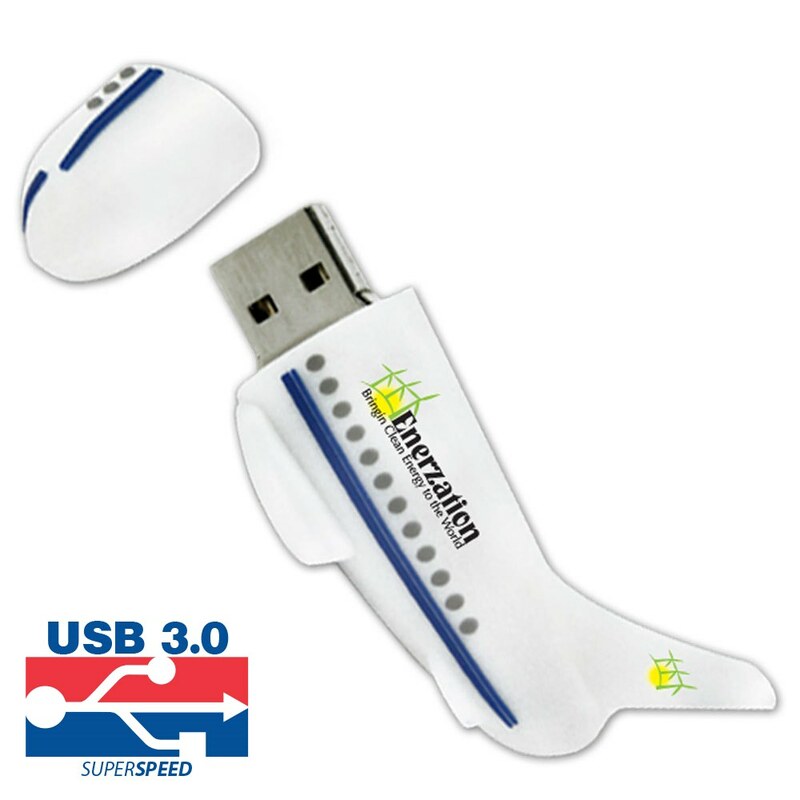 With our Airliner custom USB, you’ll get a high performance Hi-Speed USB contained inside an airplane-shaped rubber body! Customize this high-flying drive with a FREE 4-Color Silkscreen to make your logo or brand really stand out. The Airliner comes with up to 100MB of FREE Data Preloading and has data storage capacities ranging from 128MB to 16GB. 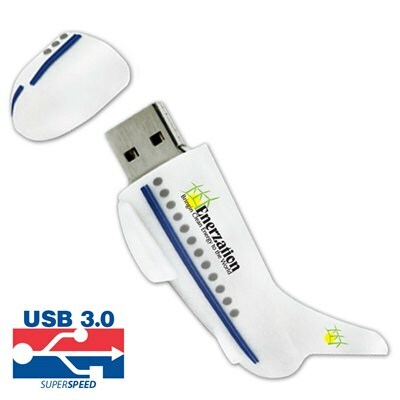 It comes with up to 10 years of data retention, a limited lifetime warranty, and FREE shipping. 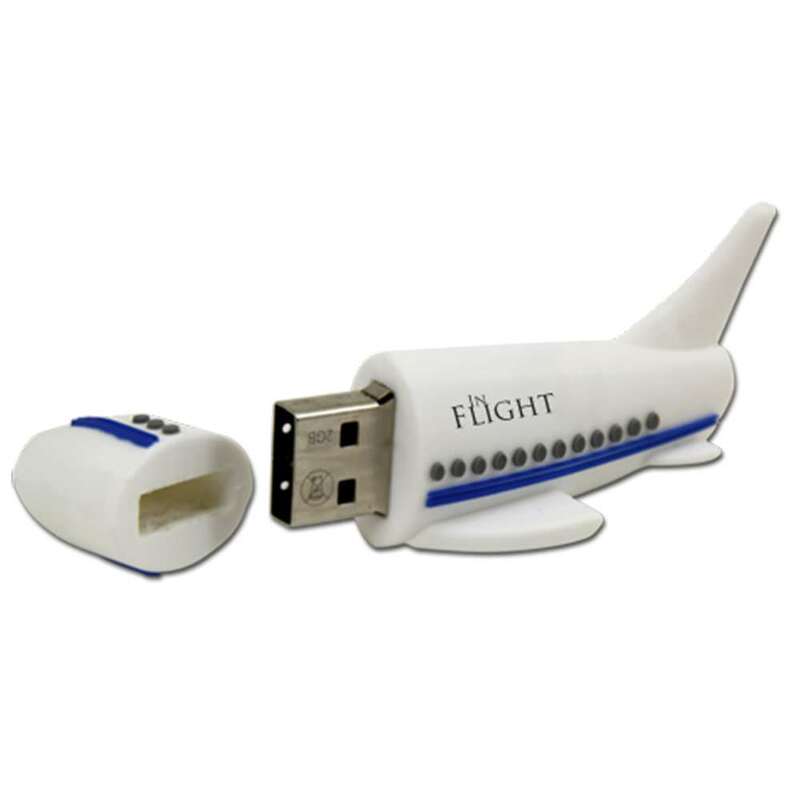 Let your data soar with our Airliner Airplane custom USB drive! 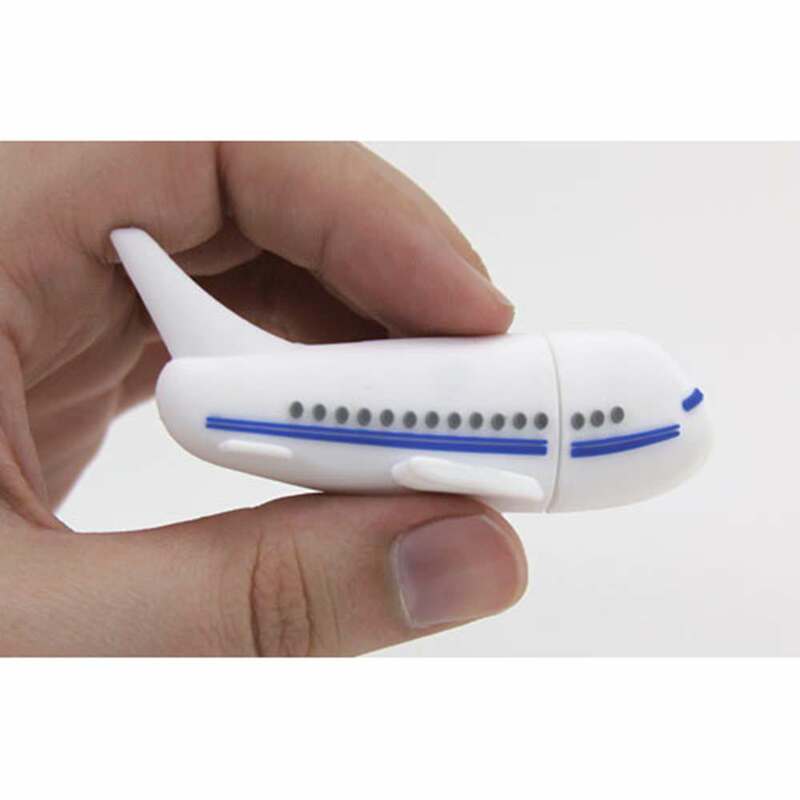 These unique airplane shaped flash drives come with a Hi-Speed USB and are made out of a durable and brightly colored rubber. 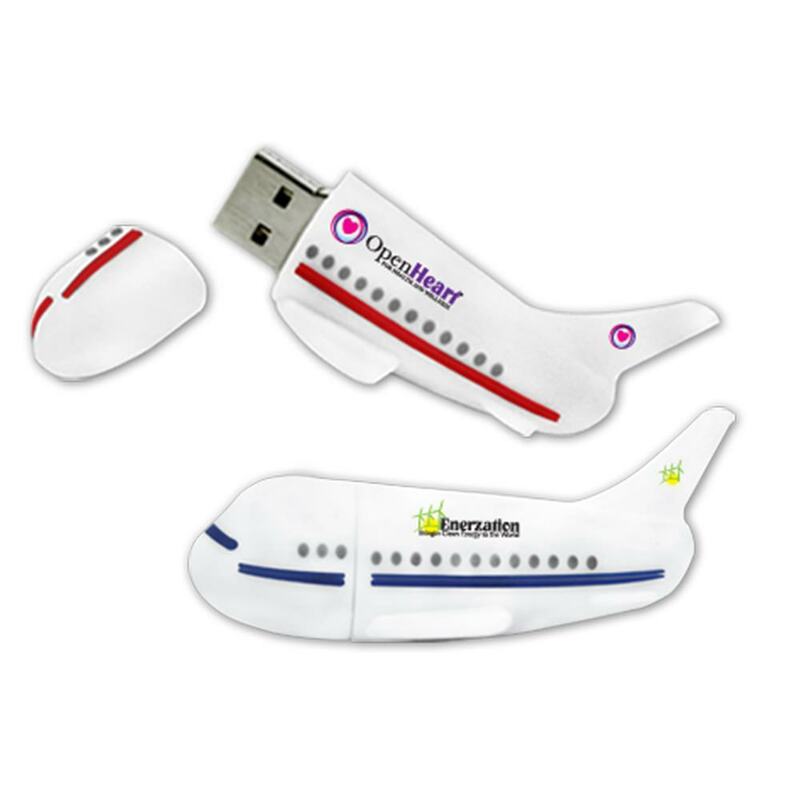 These winged wonders make for great promotional items for frequent fliers, travel agencies, and aviation based businesses. Customize your Airliner with our FREE 4-Color Silkscreen. This plane will fly high with your logo or brand on it. The Airliner comes with up to 100MB of FREE Data Preloading. With data storage capacities ranging from 128MB to 16GB, it has more than enough room to carry your most important documents, pictures, videos, music, presentations, multimedia, and other essential files. It also comes with 1,000Gs of shock resistance, up to 10 years of data retention, and a limited lifetime warranty. The Airliner is available with FREE shipping. 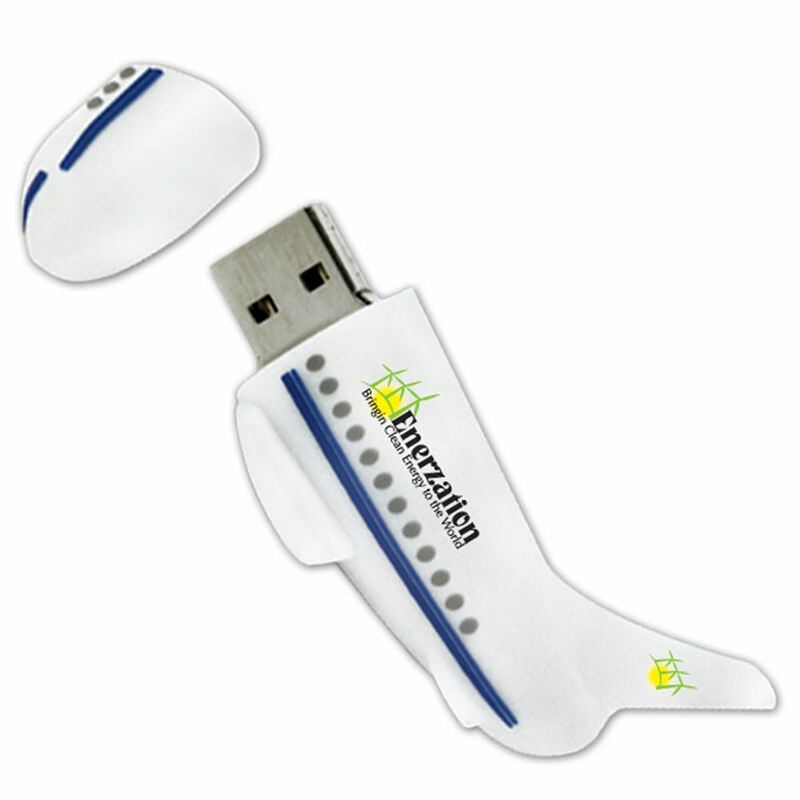 Turn time for customizing your airplane branded USB drive is within 10 business days, so it won’t be long before it takes off from our runway and lands in yours! 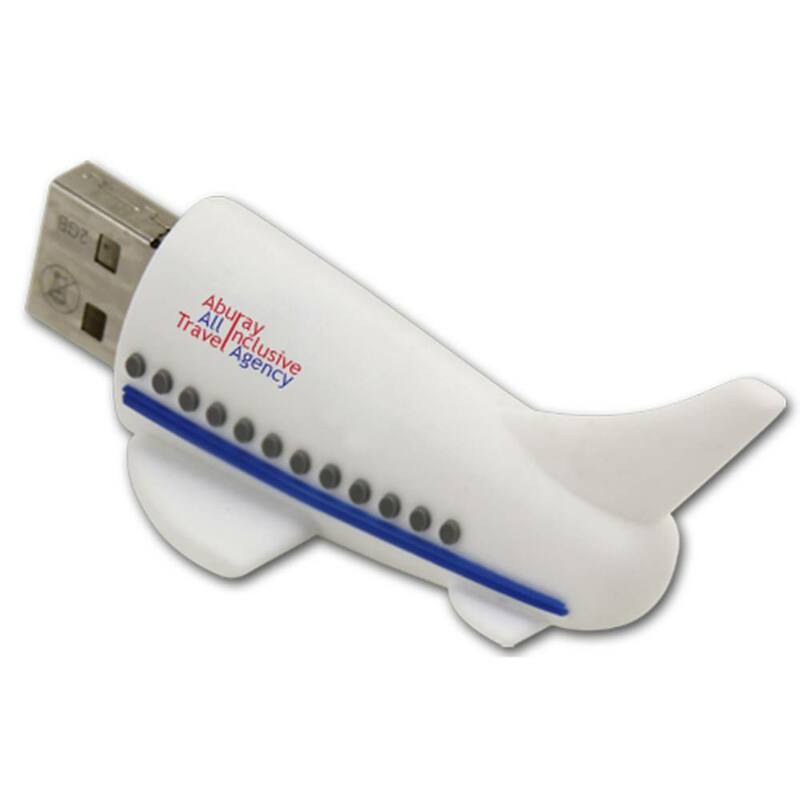 With its unique design and powerful data storage, the Airliner makes a great gift for customers, clients, and coworkers.